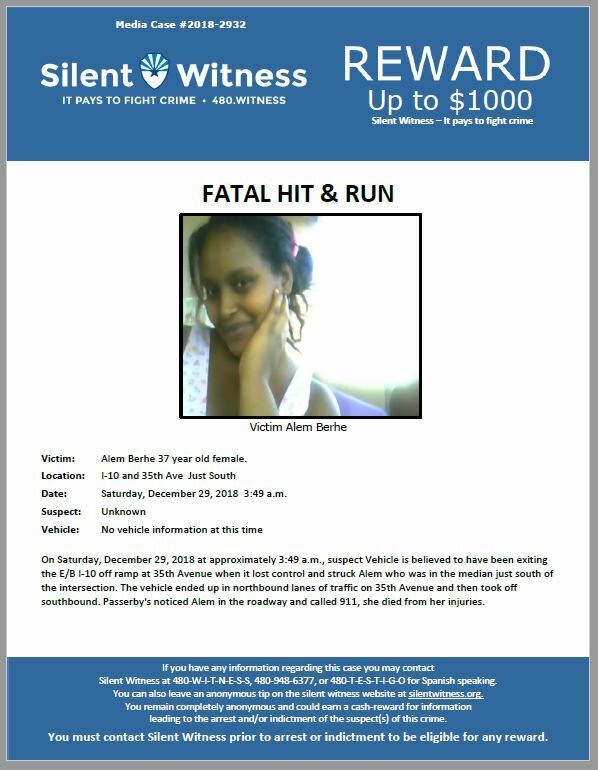 On Saturday, December 29, 2018 at approximately 3:49 a.m., suspect Vehicle is believed to have been exiting the E/B I-10 off ramp at 35th Avenue when it lost control and struck Alem who was in the median just south of the intersection. The vehicle ended up in northbound lanes of traffic on 35th Avenue and then took off southbound. Passerby’s noticed Alem in the roadway and called 911, she died from her injuries.